Yahoo Data Breach: All Accounts hacked in 2013. The Email Communication Provider Yahoo having 3 billion accounts back in 2013 was been hacked in 2013 data theft, the data theft was about triple of previous estimated size of biggest data breach in history,Attorneys in a disclosure said that they sharply increased the legal exposure of its new owner, Verizon Communications. Shareholders and Yahoo account holders lead to claim of class action lawsuits as the news got published, they said. 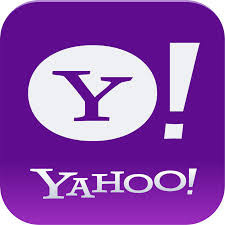 41 consumer class action lawsuits in us Federal and state courts were faced by the early face of internet Yahoo!! , according to company securities filing in May. John Yanchunis, a lawyer representing some of the affected Yahoo users, said a federal judge who allowed the case to go forward still had asked for more information to justify his clients' claims. "I think we have those facts now," he said. "It's really mind-numbing when you think about it." In August in the separate lawsuit brought by Yahoo's users, U.S. Judge Lucy Koh in San Jose, California, ruled Yahoo must face nationwide litigation brought on behalf of owners accounts who said their personal information was compromised in the three breaches. Yanchunis, the lawyer for the users, said his team planned to use the new information later this month to expanding its allegations.